Rolled arms and a transitional style only begin to describe the Darby Full Leather Ottoman Sleeper Sofa by Lazar. Featuring the new and unequaled Paragon sleeper mechanism, getting an unsurpassed night of sleep has never been so within reach. Uniquely engineered, the mechanism is built without cutting a single corner. 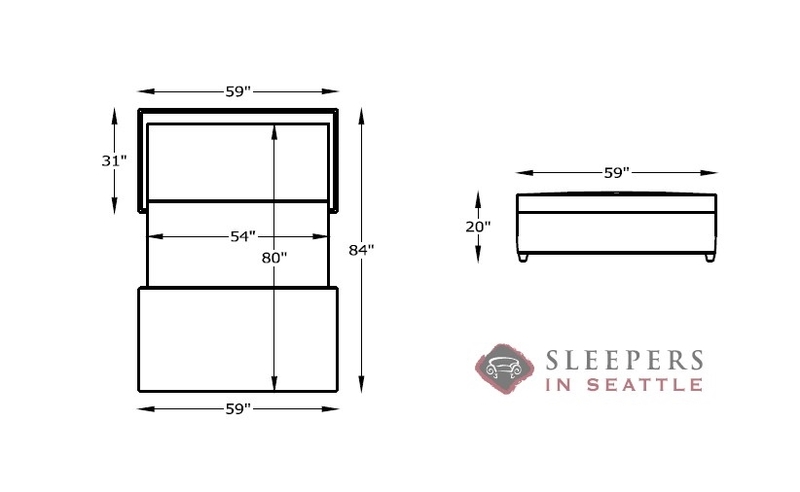 The Darby combines an 80” bed, zero springs or bars, and a memory foam mattress. 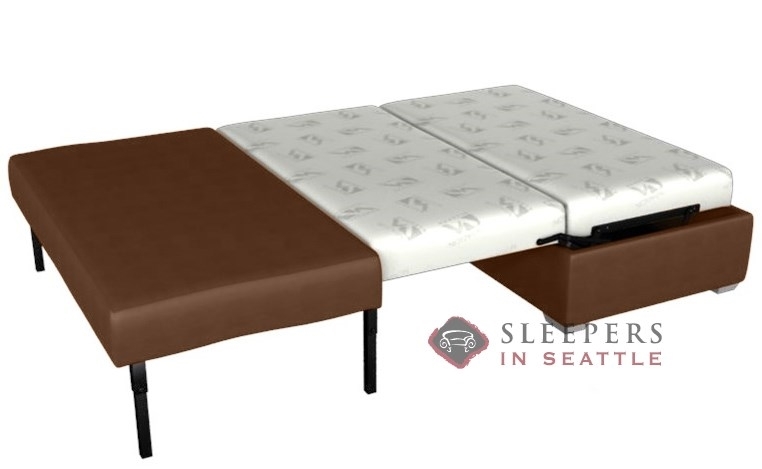 One of only four Paragon sleepers to be manufactured, any preconceived ideas of comfort are sure to be surpassed. Choose from limitless options in our design center to truly build your own and wow your guests.